In today's post, I'm going to teach you how to eat like a bird. Now don't worry, I'm not going to tell you to eat birdlike portions of food. I'm going to literally teach you how to eat like a bird...by eating what birds eat. No, not worms. You're gross. I'm talking birdseed. Or rather, millet! Although millet used to only be found in birdseed, it's also human-consumption friendly, and has become a lot more popular as consumers have been more open to trying new unique ancient grains, like quinoa, farro, and spelt. Millet is a super nutritious, quick-cooking, and delicious whole grain. Millet was first grown in North Africa, where it has been eaten since prehistoric times. It is still widely consumed in Africa and Asia in flatbreads, like roti, and sweet and savory porridges. What I love most about millet is it's versatility. 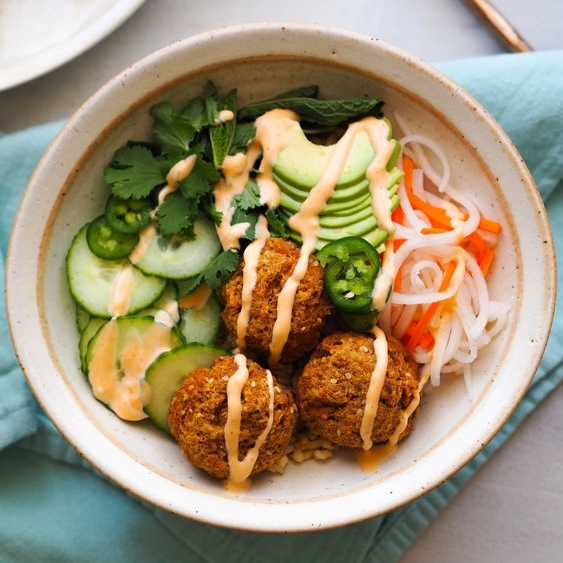 It can be prepared so it's thick and creamy, or fluffy like rice. Raw grains can be mixed into baked goods for crunch. It can even be popped like popcorn! 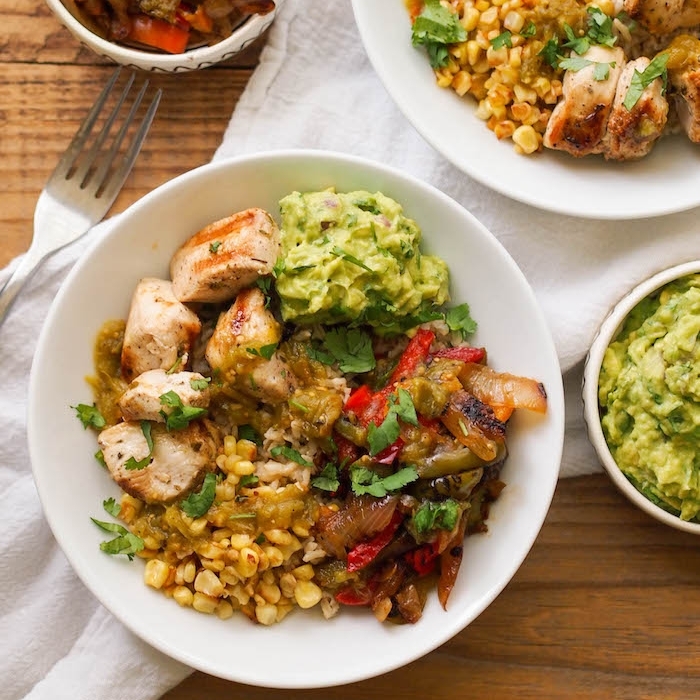 With it's mild corn flavor, I find most people prefer the taste of millet to other gluten free grains, that is, once you convince them to try it! There are many reasons to get past the whole birdseed thing and make millet a part of your diet. Like quinoa, it is a high protein whole grain. It's also a rich source of antioxidants, magnesium and niacin and may also lower triglycerides and reduce inflammation. 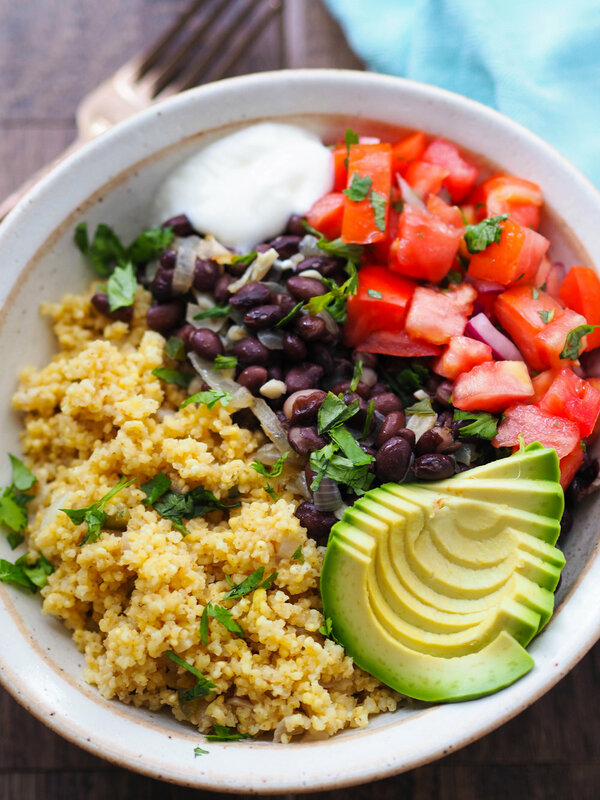 The recipe I'm sharing today for a millet bowl with black beans and pico de gallo is a good beginners millet recipe. 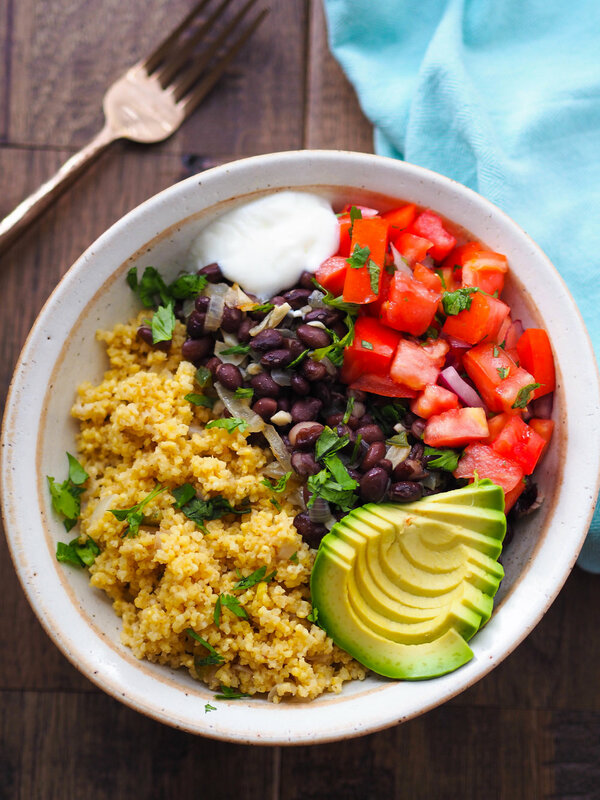 It's a pretty traditional grain bowl topped with spicy, garlicky black beans. and an easy pico. It's a super budget friendly dish too, especially if you get your millet from the bulk aisle of the grocery store. It's also a great recipe for batch cooking! First, prepare the millet. Heat olive oil in a medium pot on medium-high heat. Add onion, garlic and jalapeno and saute until tender, about 3 minutes. Add millet and toast in the skillet, about 2 minutes. Pour in 2 cups of water and bring to a boil. Cover and reduce heat to simmer. Cook 15-20 minutes until the water is absorbed. Let sit 5 minutes before uncovering and fluffing with a fork. Next, make the beans, In a small pot, heat the olive oil and add the onion, garlic and jalapeno. Saute 5 minutes until tender and golden. Add the beans and a few tablespoons of water. Once warmed through, about 2-4 minutes, add the red wine vinegar. Season with salt. While the millet and beans are cooking, mix together the ingredients for the pico de gallo and season with salt to taste. Divide the millet between four bowls. Top with black beans, pico and garnish as desired with avocado, yogurt, green onion and hot sauce.